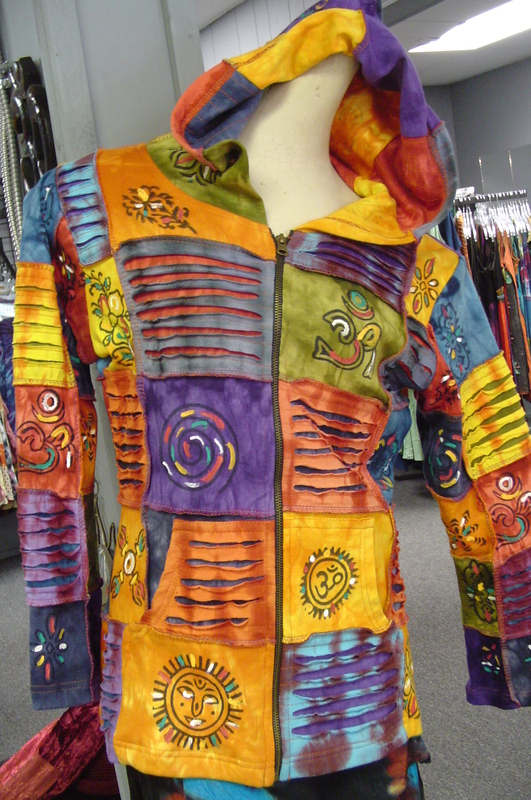 We have lots of hoodies and this colorful hoodie from Rising International which is FAIR TRADE item made in women's communities in Nepal. This hoodie is available in sizes small through 4XL. They do tend to run a bit small so you may want to order a size up but they do have a streatchiness to the fabic. The sleeves are long bell sleeves and hit most folks mid hand. Fold them up or alter them for a shorter sleeve look. This is our most popular hoodie in stock!